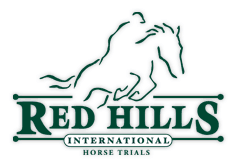 In 1998 and 1999, we -- my husband, crew and I -- had the pleasure of being associated with Tallahassee's Red Hills Horse Trials. It was great fun being part of something that was so exciting in the beginning (nothing like driving down the road and see one of your photographs made into a billboard -- that gets your pulse racing) bec0me a premier US horse trials. The Red Hills venue is absolutely gorgeous. For those from the northern parts of the country, the Spanish moss and tall timber is exotic -- if sometimes a bit spooky -- especially around twilight. I'll never forget the scene as a resplendent Scottish bagpipe corps marched out of the mist at twilight - the strains of the bagpipes echoing from the surrounding forest during the competitor's welcome party held at Sallie Ausley's plantation. All that Spanish moss and mist, fabulous food and legendary southern hospitality elevated that night into something truly memorable. The following Sunday's tornado and torrential downpour that flooded the course and suspended competition didn't dampen the memory of that first Friday night in Florida. While a bit eerie after sundown, when the sun is out, the dedicated bunch of volunteers that comprise the Red Hills organizing committee puts on a wonderful horse trials.